New improved version. On the original reel holder, reels with a slightly widther hole in the middle, tend to fall off. 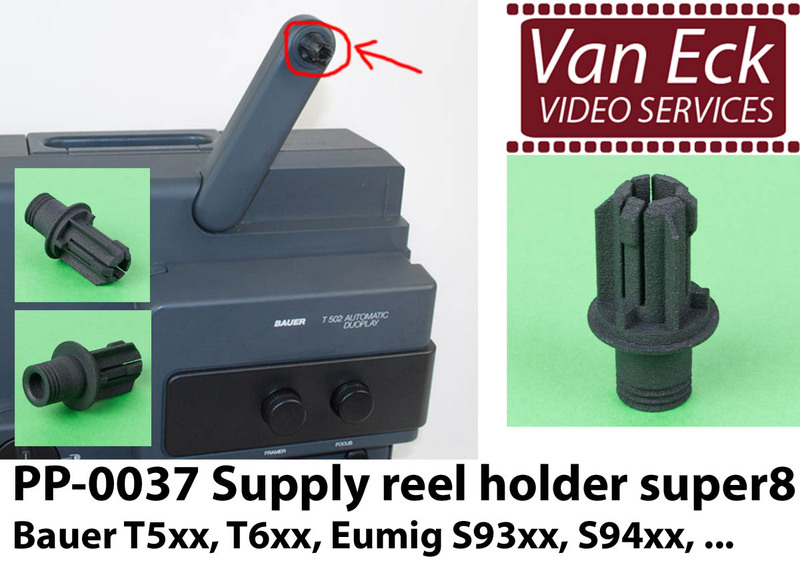 Using this improved reel holder, the reels keep firm and stable on the projector.